See Rome, Paris, London or Istanbul the Rick Steves way. Ride acrossCanada and back with deluxe accommodations from Via Rail. 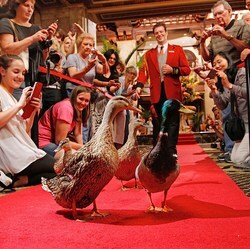 Stay at the Peabody Memphis and star as its Honorary Duck Master. Rick and the other members of the 60-year-old Society of American Travel Writers have once again assembled a stellar list of travel treats and adventures for the annual Travel Auction and you are invited to participate. For food lovers there are cook books, giant Texas steaks, a food writer's flavorful guide to the flavors of New Orleans and an evening's stay, a five-course dinner and breakfast for two at Paul Kitching 's Michelelin-starred 21212, Royal Terrace, Edinburgh. Speaking of Scotland, golfers can choose from the 5-star Marcliffe Hotel with rounds at Royal Aberdeen and Trump International or 5-star Lochgreen House Hotel overlooking Royal Troon. Better yet, combine them. 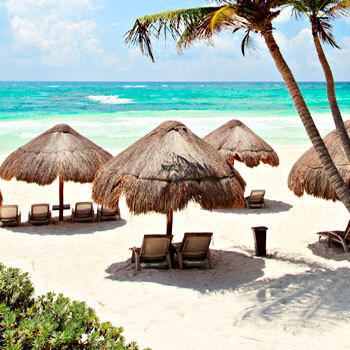 Go to sea for six- to-eight days in the Caribbean with Carnival Cruise Lines or the Atlantic Ocean off Maine on a Windjammer cruise. Safari in south India, spend a week in Tobago or a weekend in Trinidad or get away to condos in Destin, FL. or Orange Beach, AL. Closer to home, river raft in West Virginia or South Carolina, wellness spa in Texas, hit the speedway in Indianapolis, relax in Santa Fe or spend a week with air, lodging, rental car and show passes in Branson, MO. Sample the sights and lobster flavor of this year's 2-nation vacation that the Good Girls in the Badlands took and blogged about (www.goodgirlsinthebadlands.com) with stays in Portland, Maine; St. Andrews-by-the-Sea, New Brunswick and at Digby Pines in Nova Scotia.There's also a whale watching cruise you can add. Bidding continues until 11:45 p.m. EST Nov. 8, which means you can buy these and many more treats - suitcases and shoes to City Passes and SCUBA dives - for holiday gift-giving. Cruising out of Fort Lauderdale? Rodeway Inn & Suites offers free shuttles to and from the port plus parking at its secure hotel site with discount packages available beginning at $60 a night. www.rodewayfll.com. I first was attracted to AmaWaterways by their three levels of excursions each designed for different levels of activity. Now, having taken one of their cruises, I am attracted to them by the quality of their ships, cuisine, personnel and also those different levels. 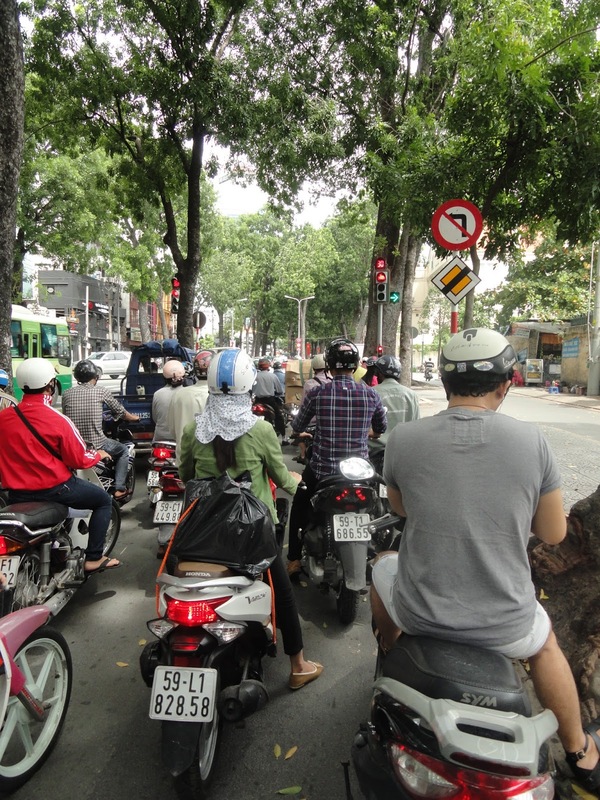 The trip to Cambodia and Vietnam is not an easy one. It seems to take forever to get there and even longer to return, definitely a factor of Korean Airlines' choice of planes. From Atlanta to Seoul, Korea's Incheon Airport, the wide-bodied plane was remarkably comfortable in coach; the 34-inch pitch gives even tall people decent legroom. On the return leg from Saigon to Dallas-Fort Worth a smaller, less comfortable plane was used with miserable results. Tip: Find out the type of craft and its configuration before booking. Seat Guru, www.seatguru.com is an excellent resource. I began with AmaWaterways' optional stay in Siem Reap, Cambodia, and tour of Angkor Wat and Angkor Thom. 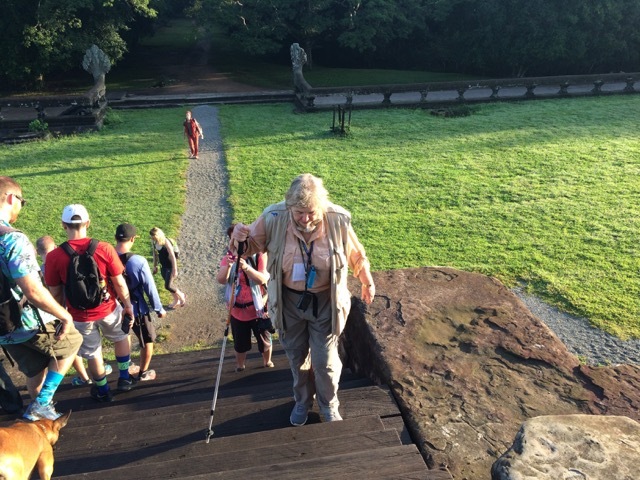 Both of these UNESCO World Heritage Sites are a challenge for Levelers with crumbling and uneven steps and surfaces and multiple flights to be climbed. 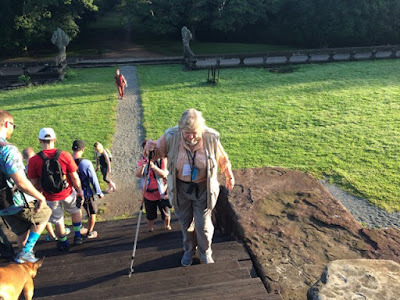 Thanks to AW's "Gentle Walkers" option, we had our own guide who not only explained the history and meaning of the temples but led us to short cuts and areas where we could enjoy the significant elements without risking limbs. He also offered a steadying hand whenever needed. Me and hiking stick on steps up to Angkor Wat. Photo by Alana McGrattan. Tip: Bring along a collapsible Nordic walking stick to provide extra balance and stability. 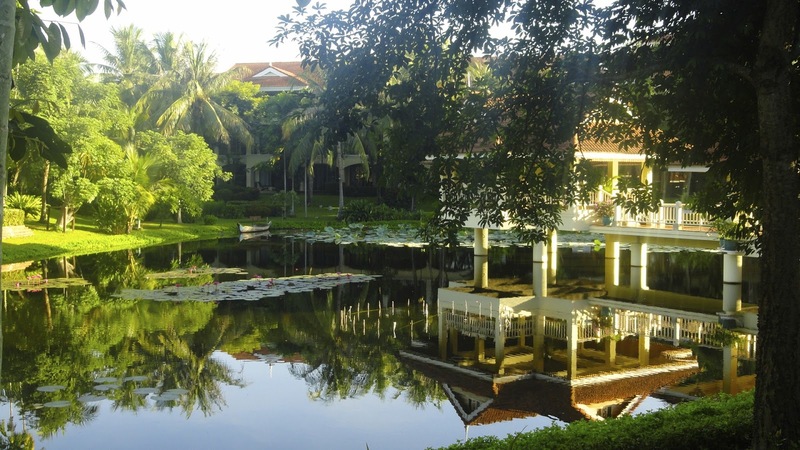 The hotel, Sofitel Angkor Phokeethra Golf and Spa Resort, is quite attractive with gentle steps (rarely more than three) and elevators to the three levels of rooms. Motor coaches used to transport guests from hotel to river ship are comfortable. AmaDara is the newest AW craft on the Mekong and, by little over a meter longer and three or so feet wider, larger than AmaLotus, her sister ship. On AmaDara there are only three decks of cabins but no elevator. Tip: Sixteen steps, with a landing midway, connect each deck. Public spaces are fore, cabins aft. The Saigon Lounge is on 2, dining room on 1 The pool and sundeck are on the third deck, so I recommend rooms on the second deck for Levelers. Tip: Rooms 222 and 221 are closest to Reception and the lounge where most activities occur. River vessels are easier for Levelers because there is no high coping to step over between you and the cabin or bathroom. Another advantage, smaller waves mean less chance of seasickness. Excursions often involve going from AmaDara to much smaller boats. The transition is deftly handled with lots of helping hands to steady you and the boats are equipped with regular chairs. In your cabin you will find shoulder or cross-body bags to carry the bottles of water passed out as you leave the ship. Also in the cabin are VOX audio boxes so you can hear what the guides are saying. Landing on shore can be difficult with steep steps up or down to wobbly walkways. This is where those helping hands and that hiking stick are lifesavers. Add in the heat and the experience can be rigorous. Despite artificial knees, a dicey artificial hip and general klutziness, I managed and was always glad I made the effort. 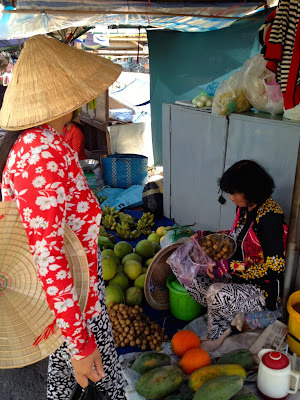 Tip: When you hit Vietnam, buy one of those conical cane hats the women wear. They are light weight and keep you much cooler than what you probably packed. Best $1 you will spend. Warning: The most challenging excursion step-wise is in Oudang, Cambodia, where passengers visit the country's largest Buddhist Center. 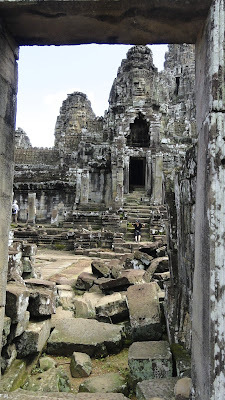 The main temple requires visitors to navigate 41 steps up to the forecourt. They begin quite shallow but deepen toward the top. Take your time and you can make it but if it is too onerous, there are nice gardens on either side in which to stroll. Just know you are going to miss receiving the monks' blessing and permission to photograph them at their prayers and chants. Tip: Another spot that confronts you with stairs is the royal palace in Phenom Penh. You won't want to miss it so prepare. Reaching the forecourt of the palace will take 22 steps, the Silver Pagoda 26 steps. Saigon can be a challenge thanks to very uneven pavement and millions of motorbikes whizzing around. Westerners are often afraid to cross a street. Don't be. Stay in the crosswalk and go with the light in a slow but steady pace. That way the motorbikes can avoid you. Other than that, your paths will be on the level. Uneven in surface, but level. The city tour AW provides will take you to the Presidential Palace, the War Remnants Museum and the Ben Thanh Market. Tip: There are a few steps up to the Palace and many more going from floor to floor. Look to the left after you enter; an elevator is at the end of the hall. The museum has three floors, 29 steps between each. There is an elevator here, too, at the back left at ground level. No steps at the market but narrow aisles and lots of people. You will love the lunch and breakfasts in Mezz that come with your hotel, the Sofitel Saigon Plaza, An amazing display of food stations with favorites from Western and Asian cuisines. Still, you ought to try the local fare at a local restaurant. Again, be warned. Warning: Restaurants in the big cities of both countries are very tempting, offering excellent fare for extremely reasonable prices. Count on steps, though. The higher the floor, the better the decor, the view and desirability. Often only the upper floors are air conditioned. 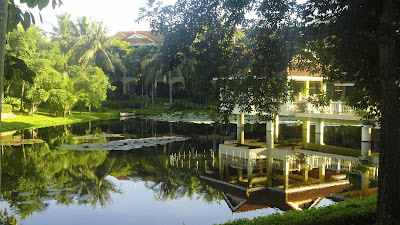 I found two well worth the effort, the Chandry Tree in Siem Reap; Quan Bui in Saigon. 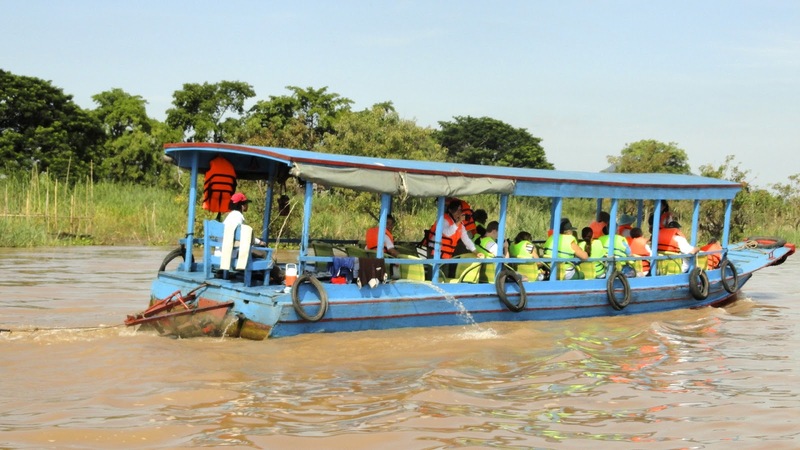 Cambodia and Vietnam, both with significant war-torn histories, welcome tourism which is improving their economies. A river cruise on AmaDara introduces passengers to a world rarely seen, where villages and stores float, where fish farms proliferate like basements below these floating worlds and where smiles mask the hunger that is a reality for many. There are moments of breath-taking beauty - Mekong sunsets are particularly dramatic - and other times when man's inhumanity to man is hard and painful to comprehend. 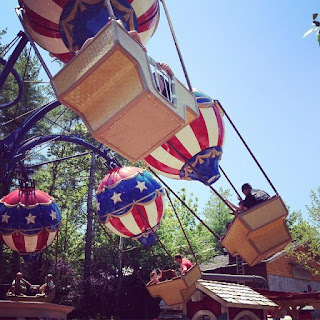 Altogether, this is an experience you will not forget like last year's souvenirs. Maine is known for its rugged, rocky, hilly coasts and terrain, but don't let that deter you. You can get "the Maine experience" without risking limb or exhaustion. Most appropriate that I barely caught my breath after arriving in Portland, ME, before embarking on a food tour. This city of only 66,000 people has 300-plus mostly independent restaurants. The combination of reasonable, one-year-long rental rates and immediate access to lobster and other seafood has created a Mecca for food lovers. Tip: It was raining steadily so we drove between spots, not a bad idea although parking can be a challenge. Cheese, cheese and more cheese. We started with specialty cheeses at K. Horton in the Public Market House, a co-op of food venders worth exploring more if we had been staying longer. Kristin Bingham, wife,of chocolatier Dean. 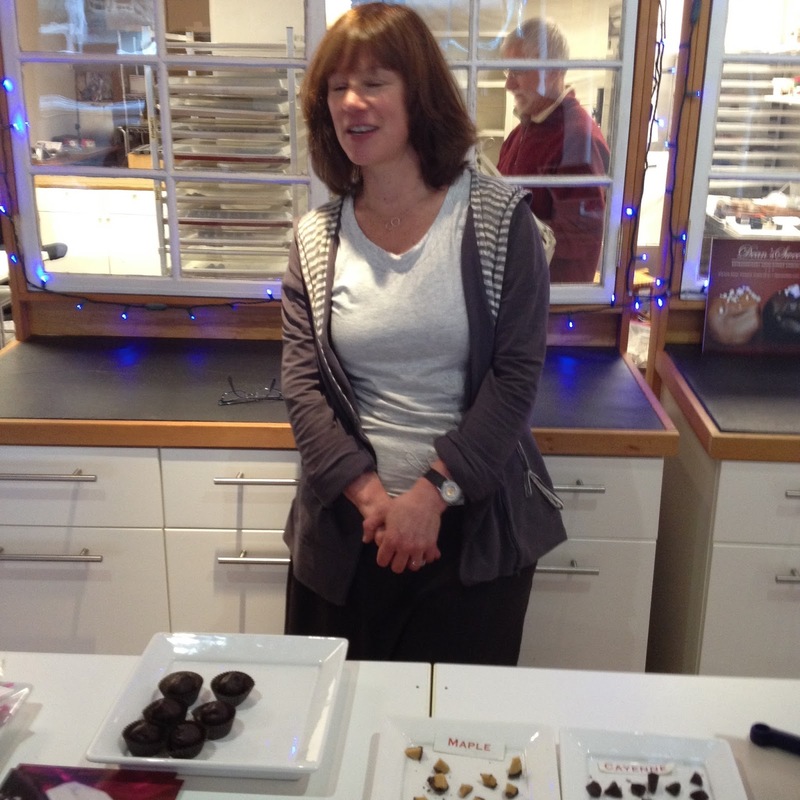 Next up we had dessert at Dean's Sweets with a tasting of their popular and delicious chocolates. Tip: Try the Needham, a traditional Maine favorite. An array of spices to accompany the oils and balsamics. Vervacious, founded by a pair of high-techers who chucked it all to sail around the world and bring back their favorite flavors, packages its spices, oils and balsamics luxuriously. With a serving of lobster mac and cheese they proved lobster makes anything better to this non-eater of mac and cheese. Sip and pick a favorite. Next came pretzels and a flight of beer and ale at Gritty McDuff's, the city's first brew pub. Also its most popular, judging from the lively crowd who had obviously taken advantage of Mug Day, Sundays when local members ($70 a year and your own mug) get $2 beers. Tip: This would be a fun place to watch a sporting event. Two of the 150 bitters brands. Last but not least, my favorite stop, Vena's Fizz House, a mixology shop where owners Steve and Johanna Corman will make you a believer in the use of bitters and infused spirits to add depth to your adult beverages. It's worth a stop to see the vast number of different, exotically titled and labeled bitters they stock. Don't bother to count, it's 150! Tip: None of these stops involve more than a few step ups to access. 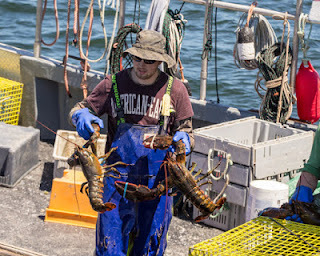 My favorite excursion was on the Lucky Catch lobster boat, where passengers not only get a tour of the harbor, but can tog up and assist in reeling in lobster traps, measuring the catch to see if any are keepers, re-bait and lower the traps back down. Gives you an appreciation of what it takes to retrieve these crustaceans and why they are so expensive on menus.Youngsters will love it. Fresh bait for the next catch. Tip: Lucky Catch is a working lobster boat but this an easy on, easy off excursion. You will sit on benches along the boat's sides. Tip: While you are at the waterfront, the food tour guide highly recommended the food at Di Millo's as well as its two-hour happy hour and $5 tapas. It was lunchtime, though, and the spot for the best lobster roll in town is Fort Williams Park and the Bite into Maine lobster roll food truck that parks on a gentle hillside across from the Portland Head Light. 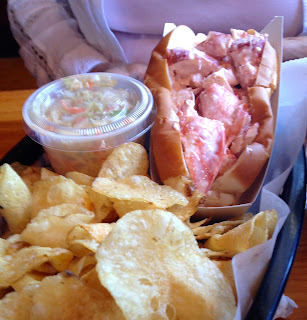 The lobster roll is worth the drive, the park is beautiful and if you get nowhere else in the state, this will give you a feel for what it would be like. Tip: You eat on picnic tables so save this for a sunny day. Tip: Technically, this is in Cape Elizabeth and you will need a car to get there. For a relatively small city, the Portland Art Museum has a very nice survey collection, which makes it a good destination for a rainy day. An easy drive from Portland, Ogunquit is a hub for towns and villages that provide additional diversions, assuming you need any. Scenery is what you envision when you think of Maine, tall trees, promontories, big rocks and crashing surf. View from my Cliff House room. I stayed at the lovely and venerable (since 1892) Cliff House Resort and Spa perched on a scenic curve of the coast at Cape Neddick which guarantees spectacular views. 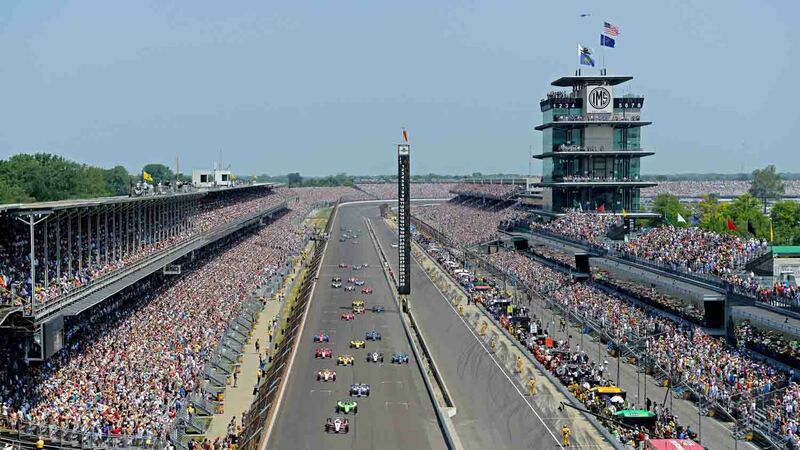 I would tell you more about it but as soon as the 2015 season ends, construction will begin on an almost totally new version with 135 rooms instead of the current 166. I can only hope the renovated spa is as good but better supported and more convenient for guests who, as I did, discover there are no bathrobe or slippers in the rooms. Now the resort is on three levels connected by long hallways, stairs and/or elevators and I suspect that won't change. Projected date of reopening is July 2016. Another thing that probably won't change - and that is good - is the Jolly Trolley bus that connects the communities, accommodations, beach and attractions around you for $2 per person. Boats have right-of-way over pedestrians. I took it to Perkins Cove, a quaint spot with lots of shops, restaurants and all sorts of sight-seeing and fishing excursions. Reminded me immediately of Cabot's Cove of "Murder She Wrote" fame. In this spot, the draw bridge stops strollers to let boats into the marina. Good lobster rolls in here. That is where the lobster roll crawl, a tasting survey of versions of that noble sandwich, began at the Lobster Shack, the oldest restaurant in the Cove. You can expect the classic, one-fourth pound of lobster packed into a toasted roll - but can ask for butter in addition to or instead of mayonnaise. Lobster roll, fries and onion rings at Jake's. Next up was a favorite, Jake's Seafood in Moody, where so many locals line up to order out or in that 60 to 100 pounds of fresh lobster comes in and out daily. The clams are especially good, too, as is the ice cream. Fresh potato chips and lobster roll artShore Road. Then came Shore Road Market and Restaurant in York Beach. Lobster rolls are smaller here but also cheaper, $9.99, and come with lettuce, mayonnaise and butter plus potato chips made freshly every day. To work off this excess of goodness, the last stop was a visit to the Nubble Lighthouse at Cape Neddick. This Coast Guard light station was built in 1879 and its surroundings sum up preconceptions of coastal Maine. Both photos of Nubble Lighthouse were made from the parking lot! Visitors can scramble around the surrounding rocks or just enjoy the scenery. Tip: The parking lot is nice and level. A must for visitors is to catch a performance at the Ogunquit Playhouse. 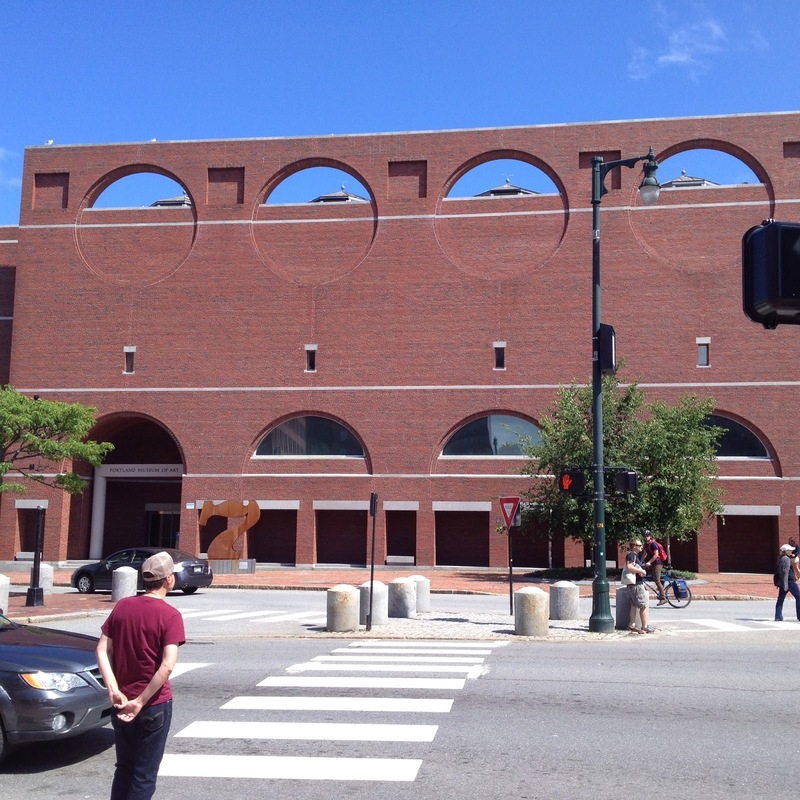 For 82 years it has been staging quality summer theater and the current facility is excellent and all on one level. Tip: There is always a rush for restrooms during intermission. Best bet is to go to the one adjacent to the outdoor tent and bar. A few steps up but better and faster access. Clouds settle over Halifax harbor. Getting there by air can be a challenge. Flying into Halifax, you probably will step down the airplane steps and onto the tarmac. With luck it will be sunny and dry but Halifax is known for its fog banks that roll in obscuring everything, delaying flights and bringing cold, damp weather. Factor in the friendly, hospitable natives, the beautiful coast and countryside, menus rife with lobster and it is well worth the wait and extra effort. 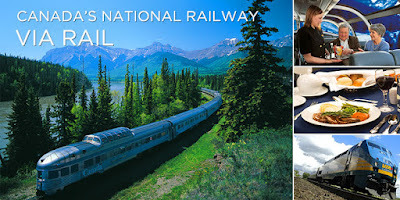 VIA Rail, which comes into Halifax twice a week, is an alternative. You can go from Montreal up along the Gaspe Peninsula to Truro and Halifax, a pretty spiffy itinerary. TIP: Stay at the historic but updated Westin Nova Scotian and you are a mere hallway away from the railway station to reception. Well located to see Halifax, too. Halifax, the capitol, is a good place to start if you arrive by air or auto. The city is hilly but walkable, especially if you aim north to south or vice versa. Start at the harbor, or harbour in Canadian. Here's where you will find boat tours, the ferries, shops, boutiques and the starting point for the looping on-off bus tours. Tip: I recommend the Big Pink Bus, despite having to go up a few steep steps to reach the first level of the 1960s London Royal double-decker bus. Staff is very helpful and the narration is excellent. 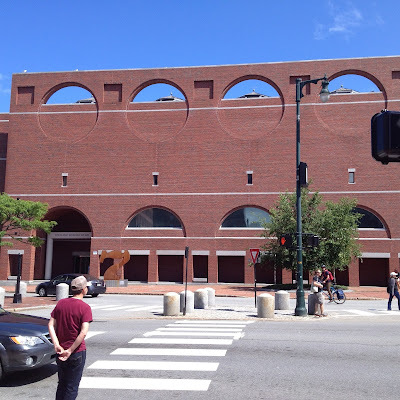 Don't miss the Maritime Museum of the Atlantic or the Museum of Immigration at Pier 21. Tip: Both have elevators and/or escalators. A good downtown lunch spot is The Stubborn Goat, an excellent gastropub with innovative, delicious dishes perfect for sharing. Try the fiddleheads. Tip: The Goat is on the level but not its bathroom which is downstairs. Liscombe Lodge, a couple hours drive away from Halifax, is where to go for isolated relaxation in a beautiful setting. The indoor pool is heated, there's a marina, plenty of trails and activities and the food is excellent. En route you will encounter the colorful home of folk artist Barry Colpitts and Black Sheep Gallery where his work and that of others is exhibited. Not far is Sherbrooke Village, a recreated 19th century port village where you can try your hand at everything from blacksmithing to costuming. Tip 1: The Lodge is on the level but the ground around it can be hilly. Tip 2: Ask for A4, the handicap accessible chalet. It has a ramp rather than stairs up to the deck, a walk-in shower and the view is great. Digby visitor center is painted in the style of the late beloved folk arts Maude Lewis. Known as the scallop capital of the world, Digby is home to a fleet that fishes for lobster as well. The town is quaint, there's a fun walking tour with "Admiral Digby" and it is surrounded by a plethora of little towns, coves, bays and places to visit. To the north, Annapolis Royal claims to be the oldest permanent European settlement in North America (1605, two years before Jamestown, VA, an oops 40 years after St. Augustine, FL). It is a charming town with a Historic Garden for strolling, excellent restaurants and a ghost tour that many enjoy. To the south, you will find the Acadian Center, Rendez-vous de la Baie, and the tallest wooden church in North America. All are on the famous Bay of Fundy complex. Tip1: Digby Pines Golf Resort and Spa, a historic haven for visitors since 1929, is an elegantly comfortable home away from home from which to explore it all. There is a striking pool and a nice spa, both down a slope from the hotel. The golf course is very hilly so get a cart. Tip 2: The "Stones, Steeples, Ships and Seafood" tour of Digby involves walking up a steep hill toward the end. Tip 3: For good food in Annapolis Royal, Bistro East and Restaurant Compose (don't miss the strudel) are recommended. Tip 4: If buying scallops to cook at home, the 10 to20 a pound size are what you want, according to native Digby resident and tour guide Greg Turner. On the ferry to New Brunswick. From Digby it is an easy two-hour or so ferry ride (with movie!) across the Digby Gut to St. John, New Brunswick. The Algonquin Resort in St. Andrews-by-the-Sea opened in 1889 and this commanding Tudor-style hostelry added a golf course in 1894. It is an ideal spot from which to explore the wonderfully named Passamaquoddy Bay area. You could spend a day roaming beautiful and welcoming Kingsbrae Gardens, and don't miss waiting for the tide to recede for the drive to Minister's Island or sign on for a whale-watching excursion. Shoppers will love roaming the main street. Tip 1: For great food, the sleekly sophisticated Braxton's at the Algonquin Resort and Rossmont Inn are highly recommended. In search of whales on Passamaquoddy Bay. Tip 2: Schedule your whale-watching excursion early; if you don't see any whales, you can do it again for free. Tip 3: You will encounter a broad flight of steep steps at the front entrance to The Algonquin. Circle around to the side portico for an easier access.